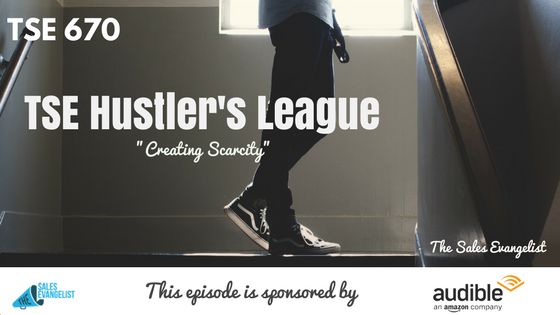 TSE 670: TSE Hustler's League-"Creating Scarcity"
How do you increase urgency in your sales process without sounding too pushy? 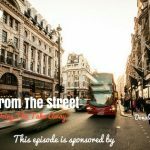 This and more in this episode of the TSE Hustler’s League. Today, I’m sharing with you how you can recognize the power of scarcity. Regardless of what you’re selling, there’s an opportunity to implement scarcity. The usual scenario is that we send a proposal. Then we get into this waiting game. But waiting doesn’t work. Don’t be afraid to ask bold questions. You can’t lose something that you don’t have. Don’t be afraid that your clients are going to be mad. Master the appropriate questions to get to the client’s root problem. Many sellers have so many excuses as to why the deal didn’t go through (ex. the prospect doesn’t want to talk or they’re not ready to do anything right now). The problem is you. Think about them, what they need the most and how you can help them with that. How much scarcity did you create in this deal? Scarcity means that when a person thinks it’s running out, they want it more. So when the item is perceived as being scarce, it’s subjective value increases. In your sales process, find a way that you can create scarcity. Figure a way where your prospect needs to have it now. 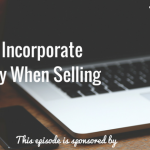 Find a way to create urgency early on in your sales process.